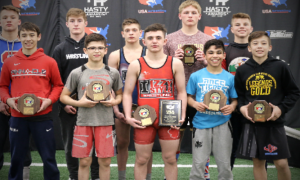 A US squad made up almost entirely of this year’s Junior World Team members went head-to-head with Sweden in a special dual meet last night at the Superior Camp hosted by the OTS at Northern Michigan University. 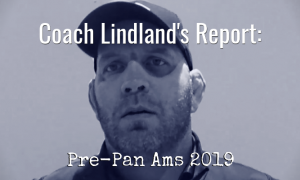 The dual provided the athletes in attendance with a strong test early on in the camp while also displaying some of the dynamic talent from the American side. Of the 12 matches that were part of the event, the US was victorious in all but three of them. Of course, Northern Michigan athletes played a major role in the proceedings. 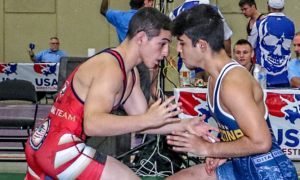 Randon Miranda (54 kg) and Dalton Roberts (58 kg) delivered back-to-back tech fall victories. Jamal DeArmond (69 kg) also racked up a tech. 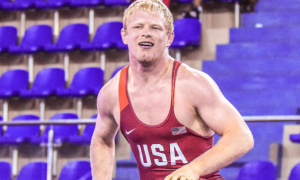 Austin Chaon (80 kg) didn’t have an easy go of it, falling to a sturdy and aggressive Hampus Svensson 8-0 in the first period. 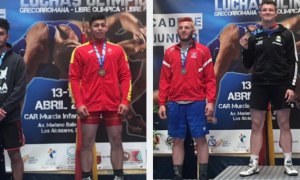 Other US Junior Greco wrestlers who participated in the meet, such as Taylor LaMont (63 kg), Kamal Bey (76 kg), and G’Angelo Hancock (98 kg), showed why they have received so much attention as of late. LaMont battled against Swedish upstart Lukas Ahlgren and came away with a gritty yet impressive 5-0 victory. Ahlgren participated in a similar dual meet last fall against the NMU-OTS squad and also wrestled at this year’s Croatia Open in Zagreb. 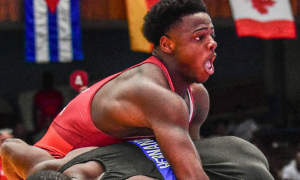 Bey, who is a few weeks removed from graduating high school, kept his summer on the right track with pin over Anton Olsson, who had been a member of Sweden’s Cadet World Team. 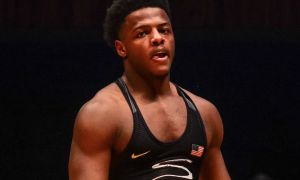 Hancock, who made his third National Team this year last weekend in Akron, defeated Linus Persson via fall. 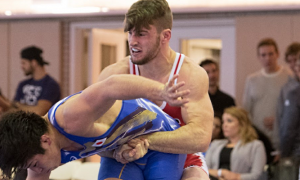 Hancock will be wrapping up his stay at the OTS just in time to board a flight to Azerbaijan, where he will join up with the 2016 US Greco Roman Olympic Team for a multi-national training camp.